Theft Can Cripple Your Business! Whether you own a restaurant, a retail store, an accountancy or any other business, if you have employees and customers, you can lose inventory. Not all loss can be accounted for. Not all loss can be prevented. However, theft on a larger scale is mostly preventable and that’s what this article is all about! Individuals typically consider four questions before embarking on an act of theft. First, what is the risk of being caught? Second, how easy will it be to carry out the act? Third, is the likely reward worthwhile? Four, if I do get caught, what is the likely punishment? Once we have a better understanding of how and why theft takes place, we can go about putting systems in place to prevent theft from happening. 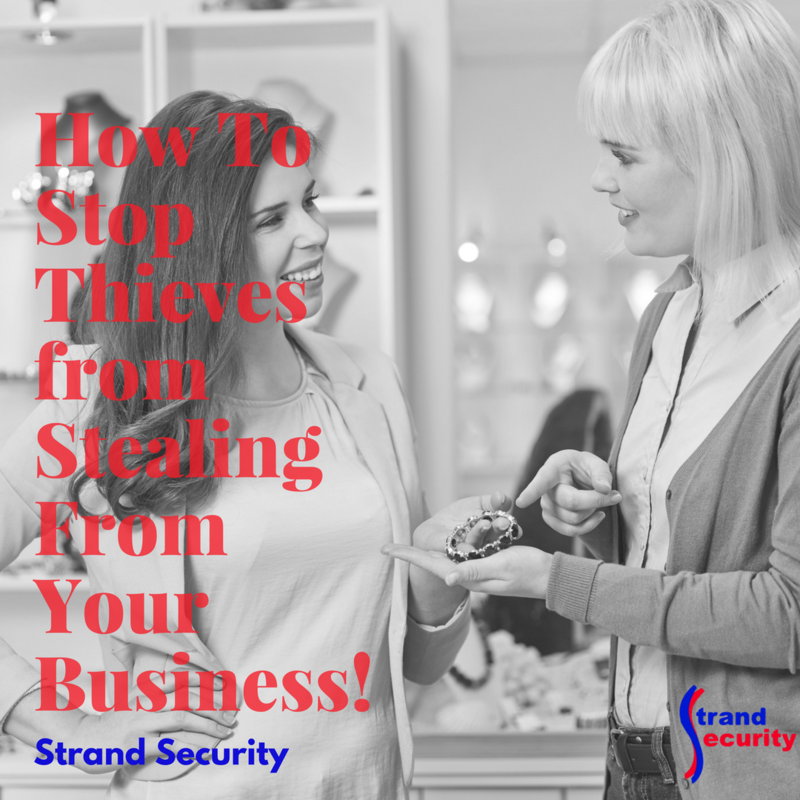 How To Stop Thieves from Stealing From Your Business! I would think you’d agree with me that preventing theft is better than catching a thief in the act. Install surveillance cameras. Make sure these cameras are located strategically throughout your place of business and trained upon places where theft is most likely to take place (cash register, back room, front door). Often, just seeing these cameras in your place of business will deter a thief. Install a security system. This system should be monitored during off hours as to keep the place of business secure while it’s closed. Put up signs. In prominent places around the workplace, display signs with security cameras and/or security monitoring. Again, if a potential thief sees these signs, they are more likely to skip your establishment and go somewhere else to steal. Train your employees. Sometime during the hiring process, talk about loss prevention and theft consequences. Make it clear there is a ‘no tolerance’ policy in place. In your newsletters and employees meetings, reiterate loss prevention techniques and tips and remind them of your surveillance cameras. Hire a loss prevention consultant. If you are losing inventory at an alarming rate, hire someone to find out where and how your inventory is disappearing. It’s not always obvious how and where thieves strike. Lock up! This might seem like an easy thing to do, but you’d be surprised how many business owners deal with (new) employees who forget to set the security alarm system at the end of the day or forget to lock up the business correctly after their shift. Hire a loss prevention specialist. This person should be tasked with watching surveillance video in real time and thus should be able to catch thieves and employees in the act of shoplifting. If you have a large business, you might need to hire a team of loss prevention specialists. Electronically tag your products. Tag your (most expensive) products with electronic monitoring devices. Install gates at your exits to catch thieves. Train your employees. Every employee should recognize the signs of a shoplifter or thief and should know all steps involved in catching the thief in the act. This requires yearly training on your part – making sure everyone is on the same page and know how to handle any situation. Install panic buttons. In strategic places all throughout your place of business, install panic buttons for the safety of your employees and the security of your business. 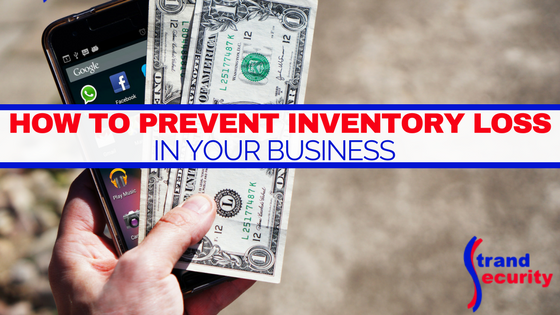 Taking Action to Prevent Inventory Loss Will Save You Money! Not all theft can be prevented. Not all thieves can be caught. However, having a clear plan in place on how to handle situations as they occur will help tremendously. Investing a bit of money into your business for a security system, surveillance cameras and loss prevention employees might in the end, save you money, and time and lots of headaches along the way.